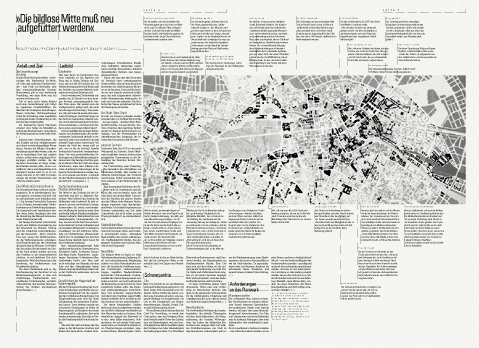 Design concept and layout of an 8-page newspaper supplement on city planning and redevelopment in central East Berlin. This was published monthly until 1999, when the redevelopment was officially finished. 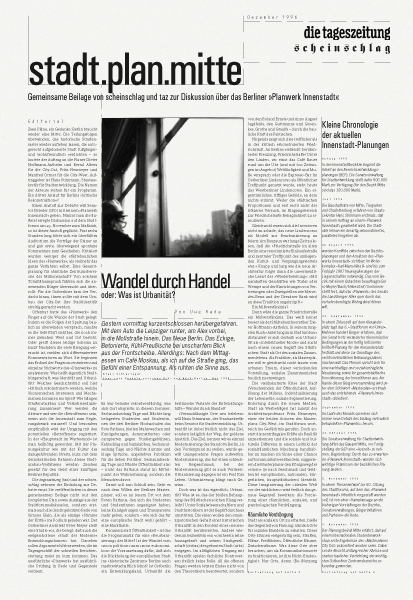 8 pages, 30,5 × 45cm, Newsprint. 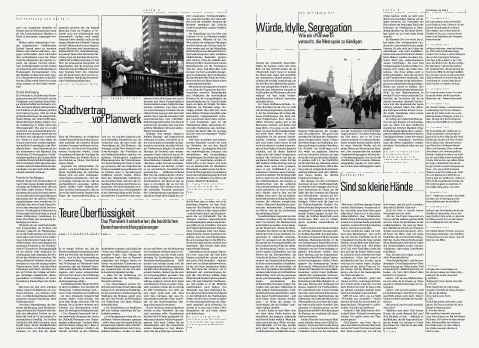 Published by Betroffenenvertretung Rosenthaler Vorstadt, Berlin.